We are currently supporting a series of Makers of Change monthly events in Lewes. You can see more about Makers of Change below, but if you would like to participate, or simply learn more, we would love to hear from you. You can get in touch using our contact form. For a recap of the exhibitions, events and conversations we got up to in 2017 & 2018 as part of our funded programme across the South East scroll down below. We have uploaded photos, videos, audio, links to publications and much more! Make sure that you are kept up to date about upcoming events, exhibitions and actions by joining our mailing list. Look forward to seeing you in 2019! 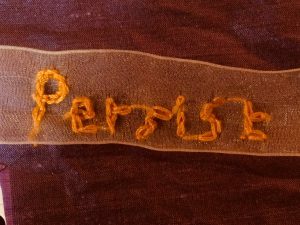 Presented by artist Alinah Azadeh, this session will explore and discuss what barriers still exist for young women today, 100 years after suffrage, and ways they can be addressed through art and craft practices. It will also give you tools to take away in dealing with specific issues such as sexism in school and beyond. 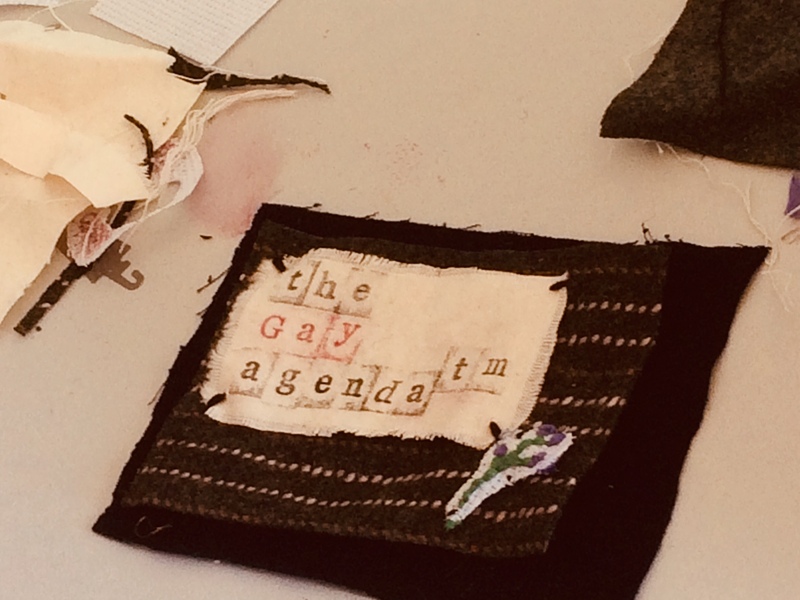 The workshop will also act as a tour of art and craftivist work inspired by the pioneering, creative campaigns of the Suffragettes and many other, lesser known campaigns nationally and internationally which use individual or collective creativity to speak out and act on social – and other forms – of justice. 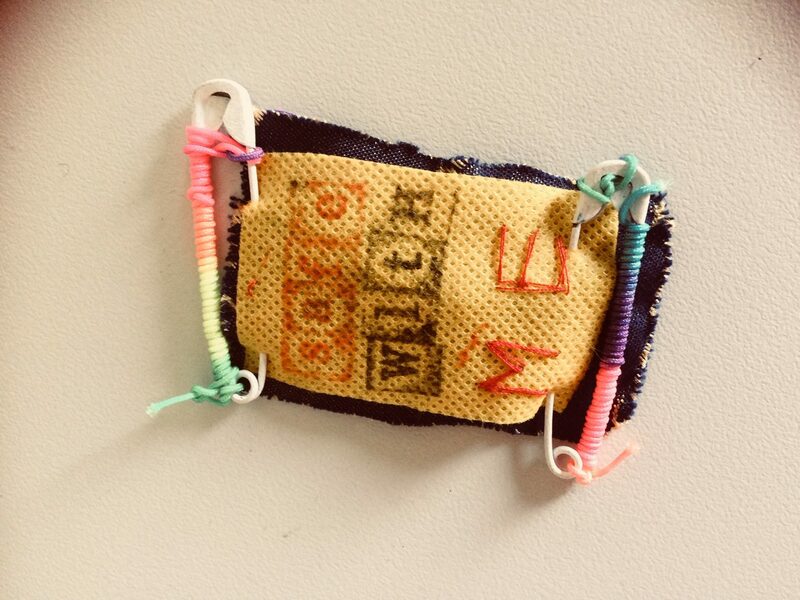 Each participant will go home having made a piece of wearable craftivism and the option to sign up for free monthly sessions later in the year. Our events are LGBTQIA+ friendly. Produced by A Woman’s Place Project. Huge thanks to The Chalk Cliff Trust and Depot, Lewes whose support has made these Makers of Change events possible. Throughout the duration of the exhibition at Knole, A Woman’s Place organised the many interesting and complimentary events detailed below. ‘Performing the Toilette’ in particular, was a great success! If you want to learn more about the exhibition itself, head here. 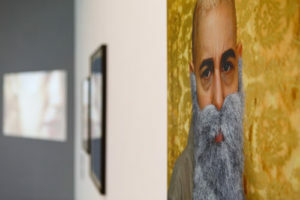 Alternatively, head straight to the gallery to check out the amazing photographs. 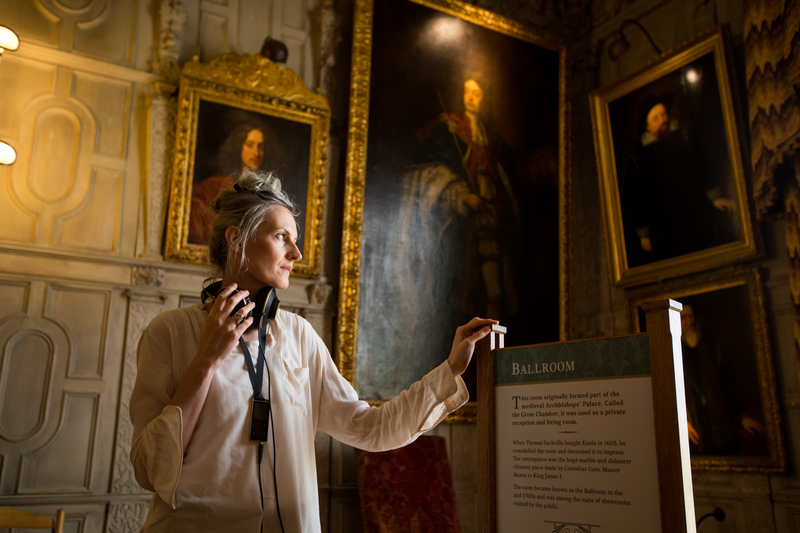 This was an unmissable opportunity to meet with Lucy Day and Eliza Gluckman, curators of A Woman’s Place, for a walk and talk through Knole’s showrooms and courtyards. 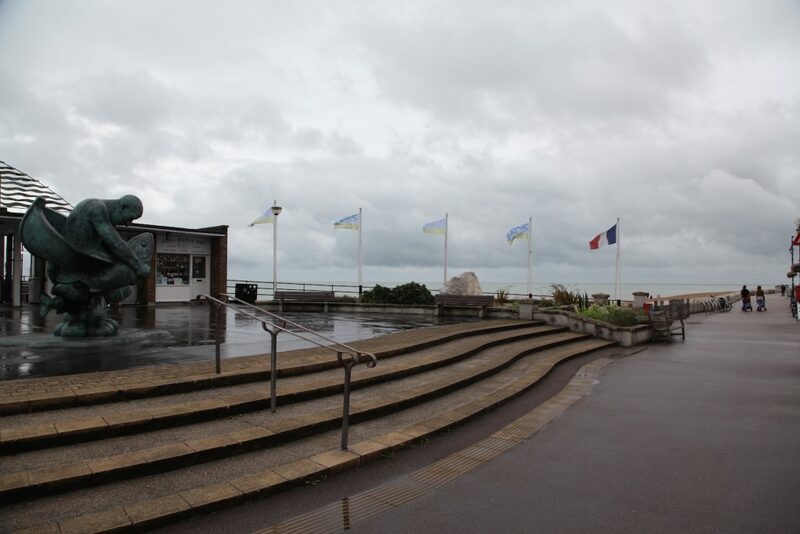 This ‘Walk and Talk’ was a unique chance for visitors to discover more about the six contemporary art installations and learn about the artists and the inspiration behind the project. This event was free to attend. 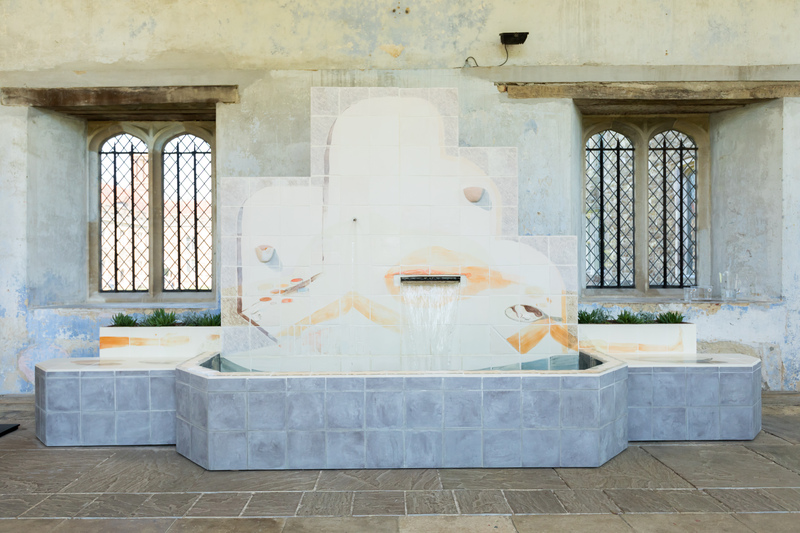 We were treated to performer Natalie Sharp demonstrating the toilette – the ritual of dressing and preparing for the day – beside Emily Speed’s art installation in the Orangery. 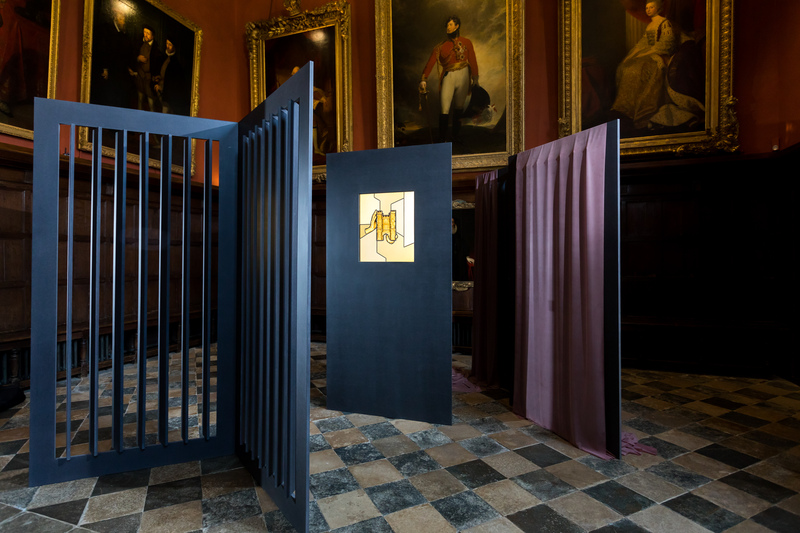 Through her maquillage (body make-up) performance, Sharp became a part of the work and environment, melding both architecture and inhabitants into the history of Knole. This was a real highlight! If you missed it, be sure to click here to watch a short video of the performance. A fantastic, fun afternoon with all of us from team A Woman’s Place centred around a family friendly, bring-your-own picnic in the, thankfully sunny, grounds of Knole. Project curators, artists and invited speakers met to discuss the context and ideas behind the artworks in A Woman’s Place at Knole. Supported through Trust New Art – National Trust’s contemporary arts programme inspired by our place. image credit: Lindsay Seers, 2052 selves (a biography), 2018. Image courtesy of the artist. We were delighted to contribute to the Women & Activism season of films and events sharing feminist stories of revolution. 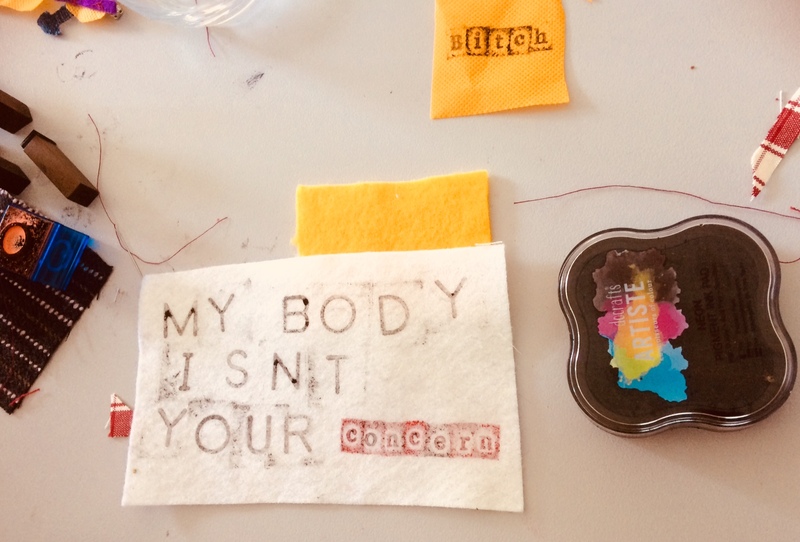 After the success of April’s Makers of Change workshop, Alinah Azadeh went on to run two more as part of Women & Activism, continuing the exploration of womanhood and feminism through craftivism (crafting in the service of social, political or environmental change). 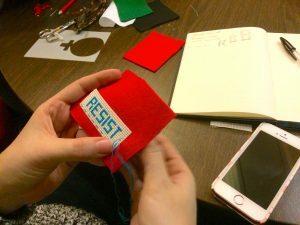 These were hands-on, creative workshops that explored and celebrated the use of art and craft in the struggle for social and political change. Inspired by the pioneering, creative campaigns of the Suffragettes, as well as current feminist and other equality campaigns globally, participants were taken on a visual ride through history and invited to reflect on and share what matters to them in the current climate, channelling this into small-scale piece of craftivism to take home. 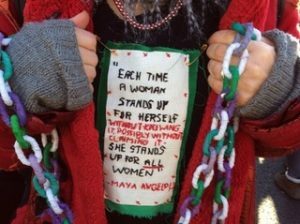 A Woman’s Place is supporting of a series of monthly Makers of Changes events in Lewes throughout 2019. If you are interested in participating, you can join the facebook group here, or you can contact us directly. Dr Helen Eastman introduced The Girls by Mia Zetterling and screened her short film Lysistrata, After Aristophanes (10 mins), along with Hairpiece: A Film for Nappy Headed People (8 min) by Ayoka Chenzira. 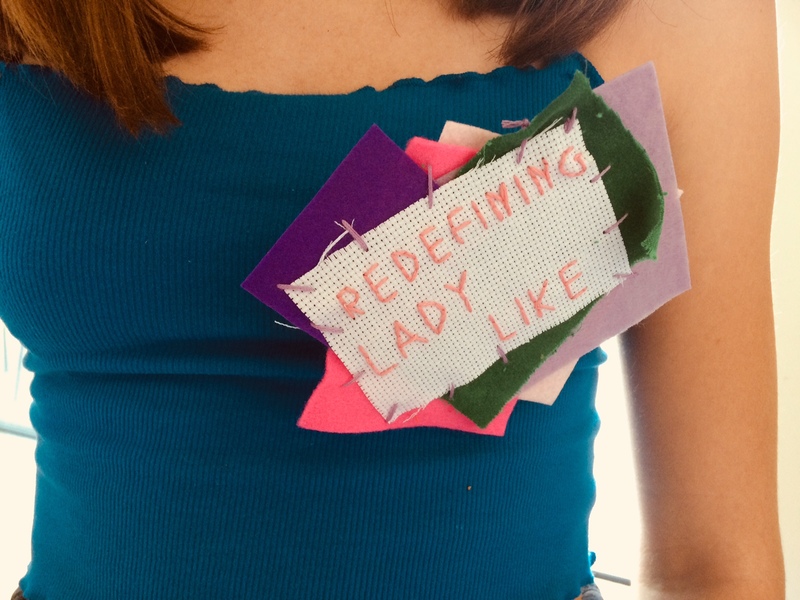 Supported through A Woman’s Place, Quiet Down There and artist Alinah Azadeh organised three One Day retreats in Kent during April 2018 with the intention of supporting women – and those identifying as women – to explore and build emotional strength and resilience, creativity and self-care. 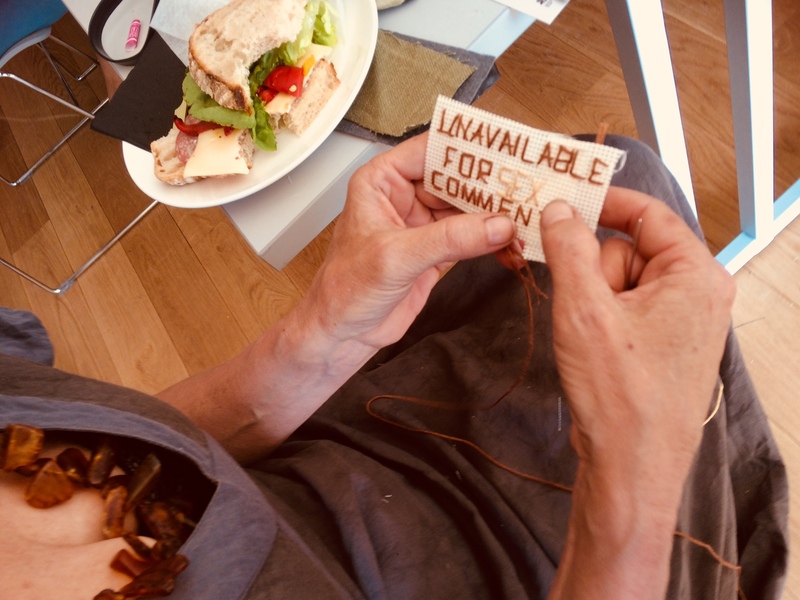 One Day was a programme of three day-long free events for 12 women in Gravesend, Kent centred on a toolkit devised by the artist using creative materials, playful discussion, creative writing and shared reflection to explore a ‘sense of place’. Each one took the format of a ‘day retreat’, providing a supportive space, food and a small subsidies for travel and/or childcare. The retreat offered participants a full day to focus on themselves, their place in their family, community or workplace, and a chance to work creatively on new or existing projects with others in a safe space. Quiet Down There work with the galleries, venues, high streets and local authorities to produce relevant, meaningful and accessible work across artforms. 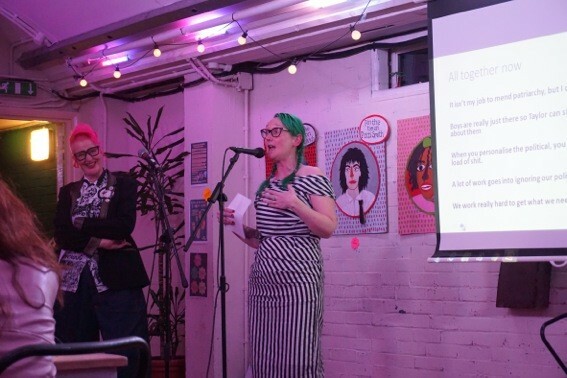 They have worked with artists and communities across the southeast and London on projects funded and commissioned by organisations such as Brighton Festival, Camden Council, Arts Council and Lighthouse. 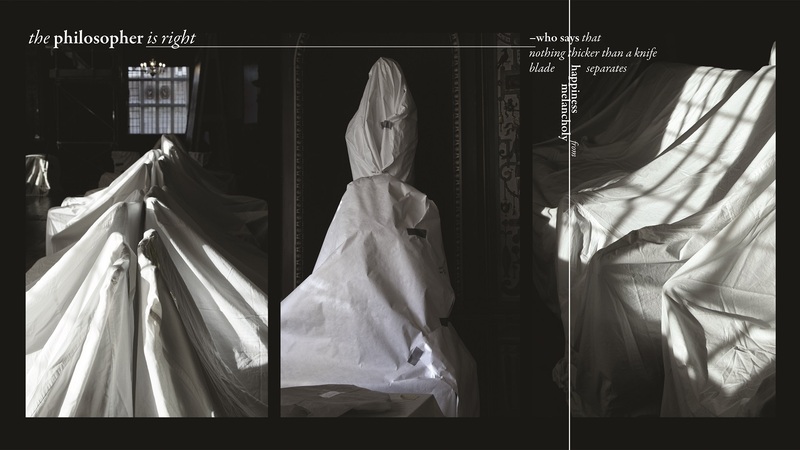 Alinah Azadeh is an artist, writer and performer, using textile, interaction and storytelling to open up fresh ways of reflecting on our social and cultural identities. 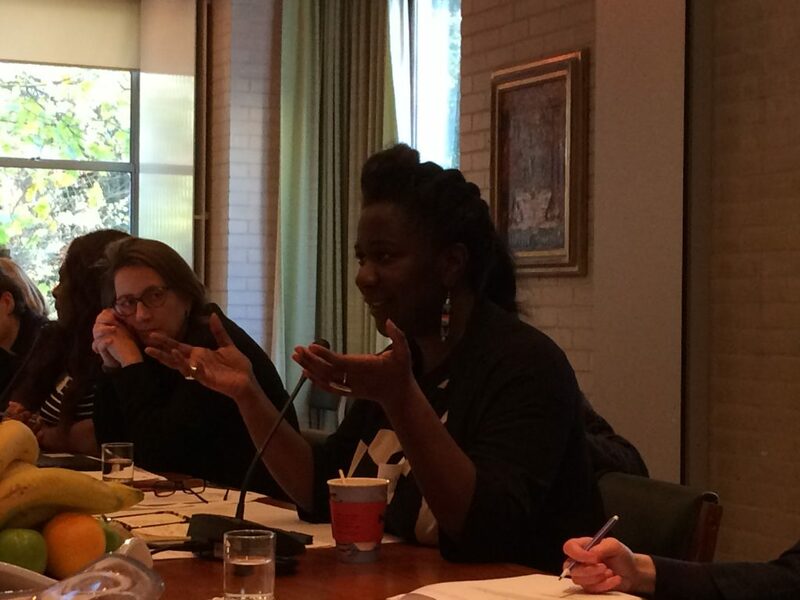 She is interested in interdisciplinary ways of working that enable creative, social and political agency in others. 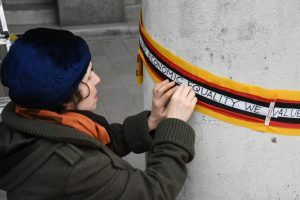 Over the last two decades, her public artworks have invited thousands of people to take part in installations and live works on subjects ranging from grief, loss and debt to gender equality and migration. 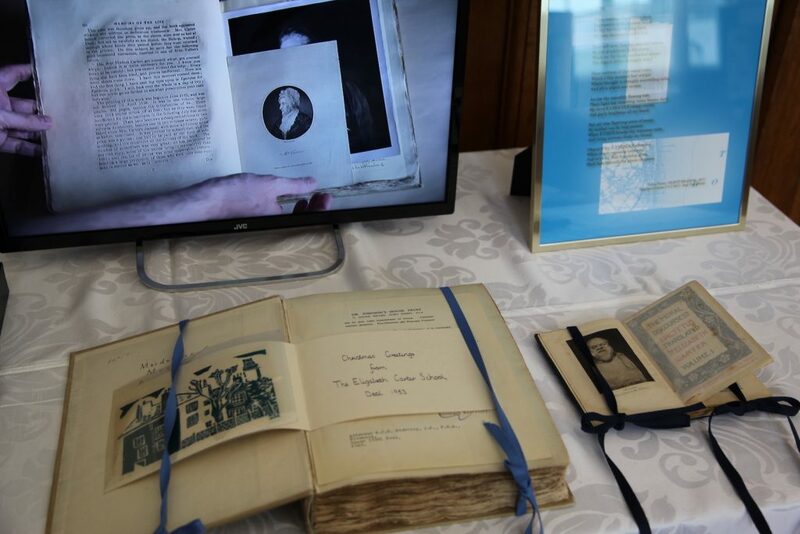 Commissions include The Gifts (2010, Bristol Museum), Westminster Hall (Magna Carta Anniversaries Banners, 2015), Hull City of Culture (Revolutionary Makers, WOW Festival, 2017) and Burning the Books (2011-15). She is Associate Research Fellow at the Birkbeck Centre for Contemporary Theatre and the RSA. Image courtesy of Alinah Azadeh. These were some of the questions discussed by participants at our Makers of Change event, held at the Depot funded through the Women’s Vote Centenary Grant Scheme. Artist Alinah Azadeh, presented the session which acted as an introduction to handmade work through craftivism (crafting in the service of social, political or environmental change). 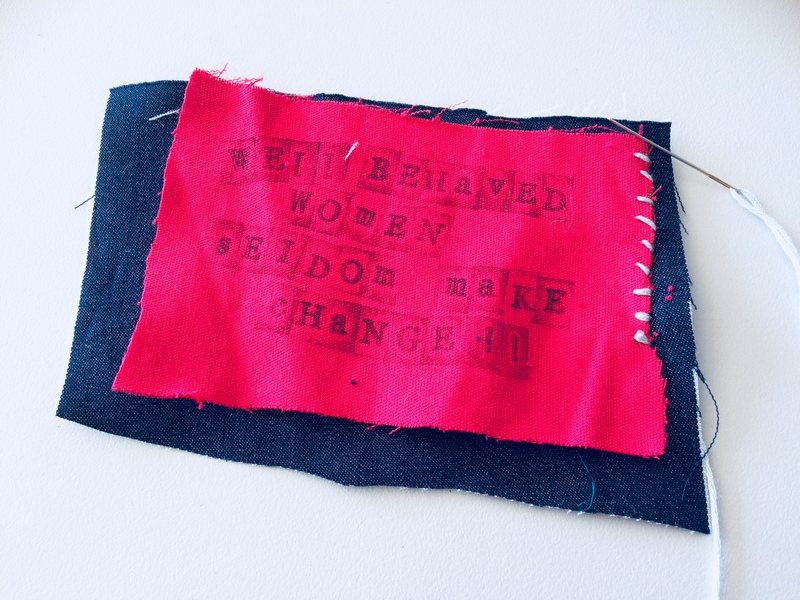 Inspired by the pioneering, creative campaigns of the Suffragettes, as well as making connections to current campaigns by women globally, each person created small-scale pieces of craftivism to take away. 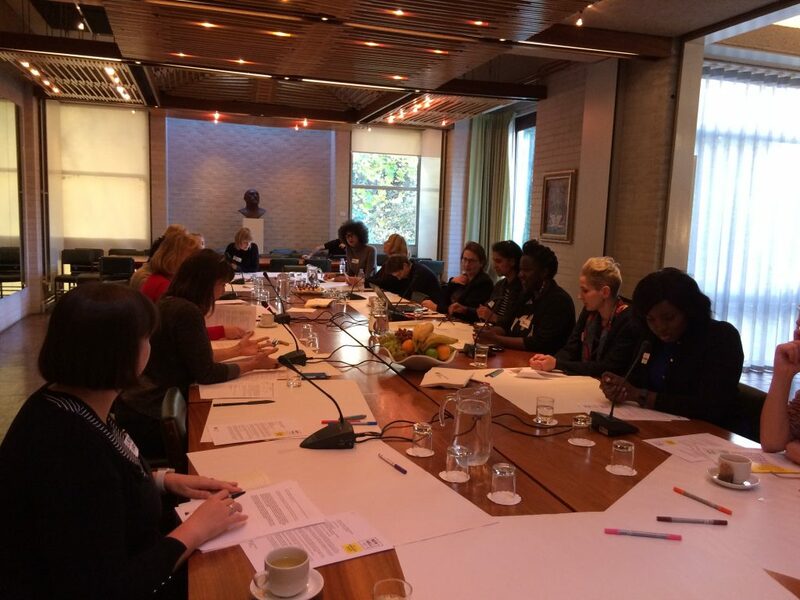 Participants to both of the free workshops were sourced through peer connectors with the ambition to encourage women who may not usually attend an event like this to come along and take part. A morning session was held for mothers of school age children and the afternoon session involved fifteen 14–16 year-old young women from Lewes and surrounding areas. As a result several women plan to form a regular monthly group , and the young women plan to tackle sexism and misogyny at school. I will probably go home and stick endless Beyoncé quotes into my clothes. Being able to speak freely with other girls felt special. It has shown me that here are places where people (like me) can talk. Hearing from each other’s experiences in a group was a positive and thought-provoking experience. I was surprised that such a small item (badge/stitching) could make such a difference. In collaboration with New Hall Arts Collection Looking Further, Looking Harder was a round table discussion of invited attendees. As the New Hall Art Collection was working towards Accreditation status this discussion was aimed at generating conversation around areas of collecting; specifically the issues that arise both from the historical growth of a collection to the responsibility of representation going forward. 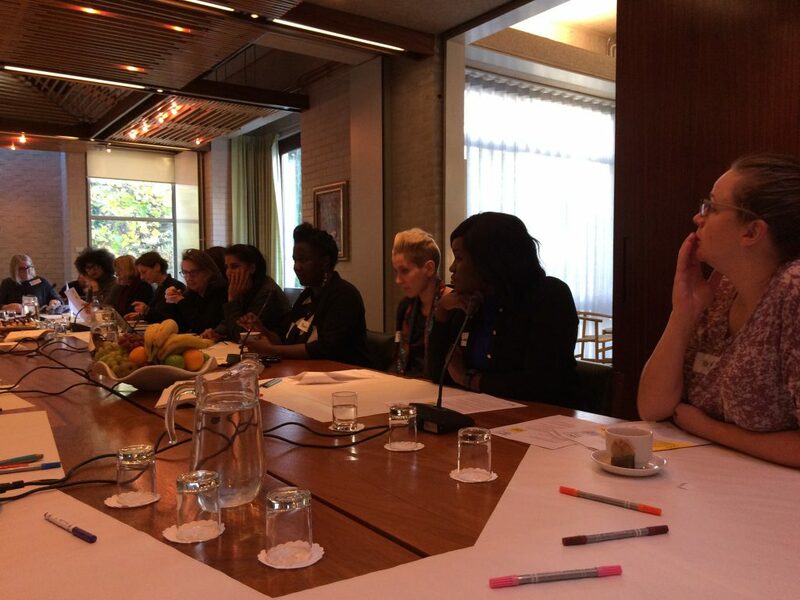 A small group of invited guests (25) met at Murray Edwards College for a discussion about the New Hall Art Collection and representation of BAME artists, specifically women of colour (WOC), in Collections. 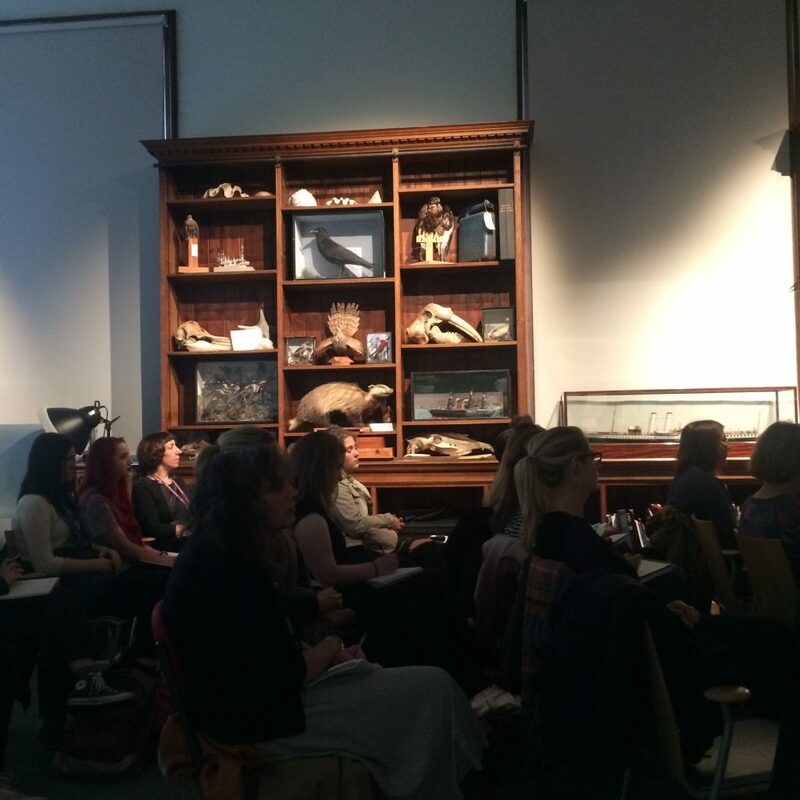 All in attendance were looking at the Collection from different perspectives – students, alumna, artists, curators – and were asking what it means to address, and how to constructively address, representation, or lack of it, in Collections. Collectively, their aim was to interrogate the language and current dialogues. New Hall Art Collection at Murray Edwards College, University of Cambridge. The New Hall Art Collection is the largest collection of works by women in Europe. The Collection is housed within Murray Edwards College, University of Cambridge and began in 1986 with the acquisition of a work by Mary Kelly. 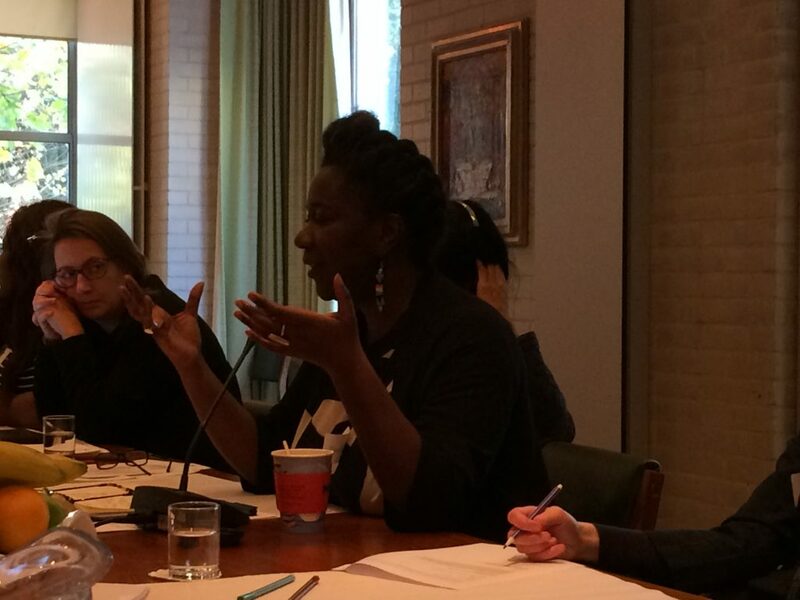 Historically women artists have been excluded from academic research, art historical books and institutional museum programming; an issue currently on the agenda of most international art institutions. With over 500 works, a third on public display, the New Hall Art Collection has an emphasis on modern and contemporary art. We joined artist Erika Tan and Dr Lara Perry of Brighton University School of Humanities, to discuss Tan’s series of films focussing on the minor historic figure of Halimah binti Abdullah (an expert weaver who participated in the 1924 Empire Exhibition (London)). Halimah, along with 19 other Malayans, lived and worked in the Malayan Pavilion. By day they were demonstrating their crafts and selling souvenirs at the exhibition; by night living behind the displays in an ex-army hut. In the same year that she came to London, she contracted pneumonia and died, aged 60. She was buried in Brookwood Cemetery in Woking and given a muslim burial. 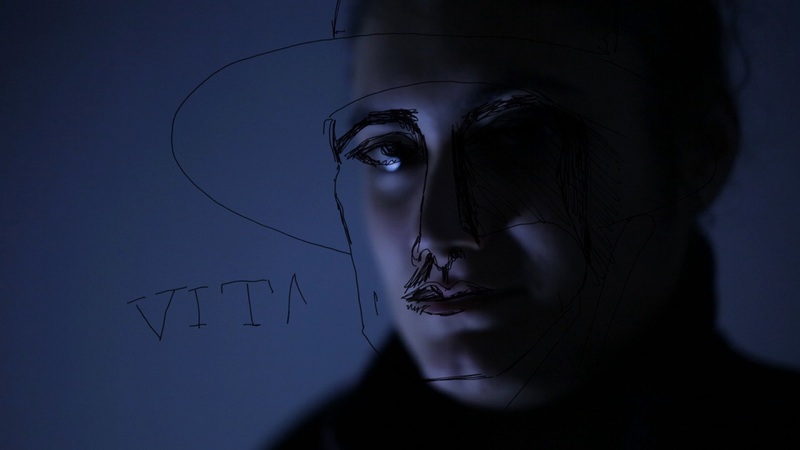 Tan’s project is interested in trying to resurrect her story as a way of approaching questions around colonial exhibition tropes, ideas of cultural ambassadors or martyrs, the parameters of a developing the ‘Singapore art canon’, and the difficulties of retracing the forgotten in an ever incomplete archive. Both share a keen interest in issues of the unrecorded, or unevidenced life and events. 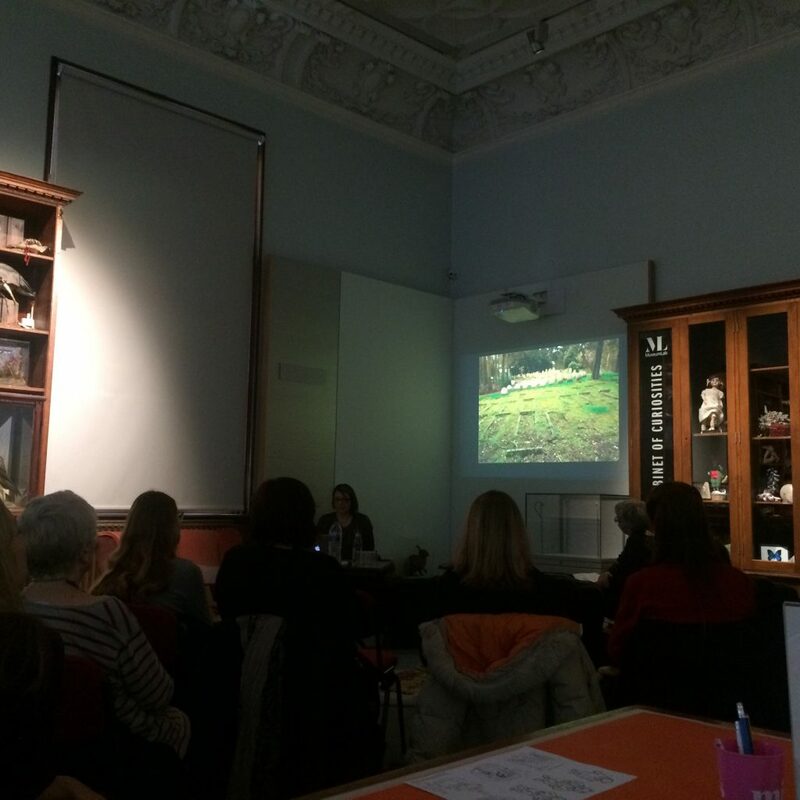 Tan shared with us some of her processes, research and final works, stimulating an interesting discourse with Dr Lara Perry and members of the audience. 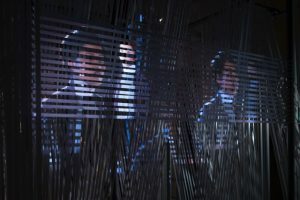 Images credit: Detail of installation: The ‘Forgotten’ Weaver, Erika Tan, Diaspora Pavilion, Venice 2017. 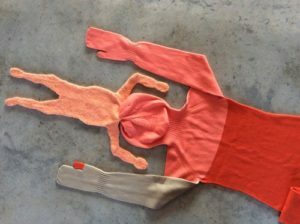 This was the most unforgettable feminist art project; a feminist art project that we could dance to! Also held in the most perfect venue – The University of Sussex – a place of learning with a radical history of protest and disruption. This was an art project calling itself a disco. 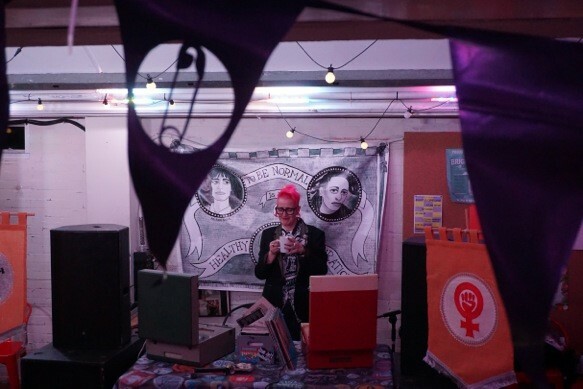 Rachael House played records, made between approximately 1976-1983, on two dansette record players of bands featuring women Rachael decides are feminist. These records hark back to turbulent years during the so-called second wave of feminism, punk and post punk, The Grunwick Strike, Thatcher Government, Spare Rib, Rock Against Racism and The National Front. 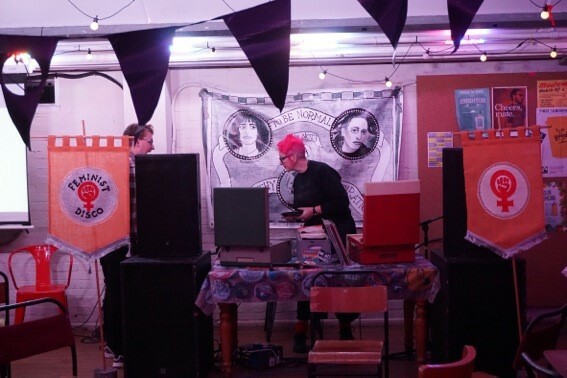 Rachael House’s Feminist Disco didn’t wallow in nostalgia however, but instead prompted all of us who attended to look back on this time as one might peek under a plaster. Is it healed yet? Is there shiny new skin? Pressing tender spots to check if they still hurt. Do we still have the same problems, or has someone smashed the glass ceiling? Are the arguments that made schisms between so called second wave feminists any closer to being resolved? These were the questions on all our minds. The disco/discourse included the academic, the historic and up to the minute. Providing discourse on this occasion we welcomed Dr. Nicola Streeten and Professor Lucy Robinson. Lucy’s powerpoint presentation covered what fan girls have taught her about feminism and comic artist/writer Nicola wrestled with how and why as a feminist she laughs at things that shouldn’t be funny and doesn’t laugh at things that should. 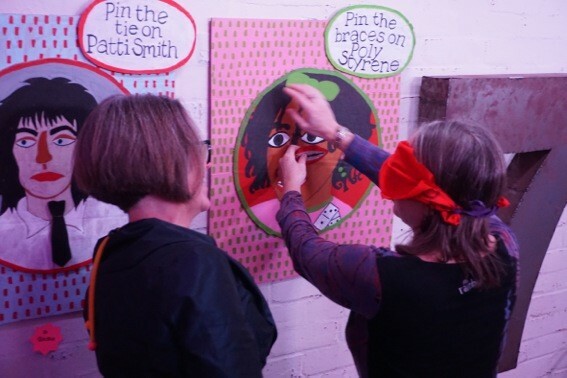 Traditional feminist party games such as Pin the tie on Patti Smith were played, the Typical Girls- A feminist gallery was expanded with the audiences contributions, and we even ate a feminist boiled sweet or two. 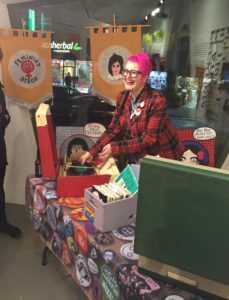 To bring the feminist politics bang up to date a raffle was held in aid of a local grassroots feminist organisation, Sisters Uncut. Fittingly feminist raffle prizes were all made by Rachael House. 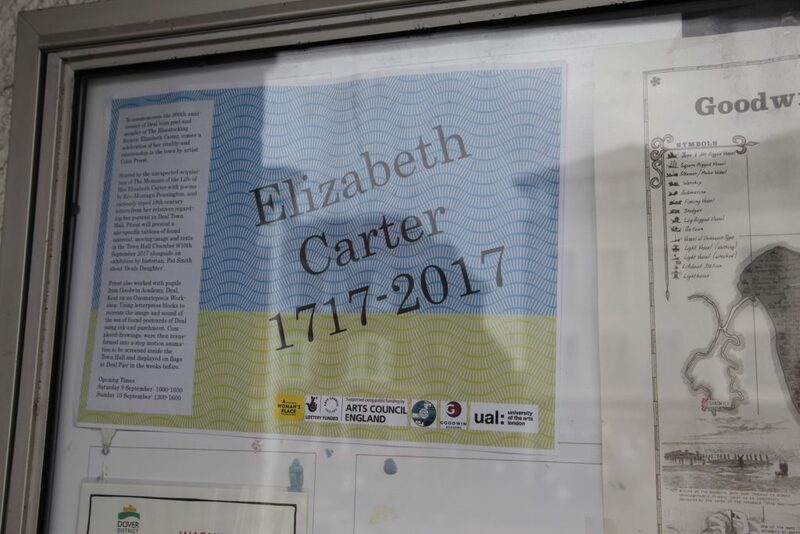 To commemorate the 300th anniversary of Deal born poet and member of The Bluestocking Society, Elizabeth Carter, this event was a celebration of her vitality and relationship to the town by artist Colin Priest. Stirred by the unexpected acquisition of the memoirs of the life of Mrs Elizabeth Carter with poems by Rev. 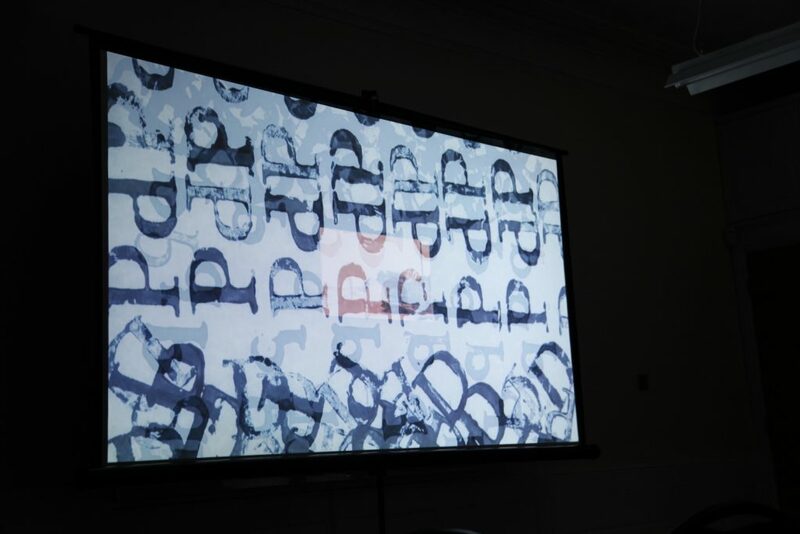 Montagu Pennington, and curiously typed 19th century letters from her relatives regarding her portrait in Deal Town Hall, Priest presented an atmospheric site-specific tableau of found material, film and texts in the Town Hall Chamber. The English term “bluestocking” evolved in the mid-to-late 1700s. 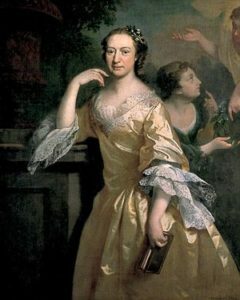 Elizabeth Carter wrote of the society: “As if the two sexes had been in a state of war, the gentlemen ranged themselves on one side of the room, where they talked their own talk, and left us poor ladies to twirl our shuttles, and amuse each other, by conversing as we could. By what little I could overhear, our opposites were discoursing on the old English poets, and this subject did not seem so much beyond a female capacity but that we might have been indulged with a share of it.” Priest had also worked with pupils from Goodwin Academy, Deal, Kent on an Onomatopoeia Workshop. Each student was given a character from the WORKBOX to recreate the image and sound of the sea using ink and parchment. Completed drawings were then transformed into a stop motion animation which was screened at the event. Colin Priest is a London-based artist, architect and educator at Chelsea College of Arts, University of the Arts, London his mixed-media site-specific works combine intervention, sculpture, writing, moving image and performance, with an ambition to construct site specific encounters engaging heritage narratives. Day+Gluckman, artist Jessica Voorsanger and Tate Curator and art historian Carol Jacobi gathered together at the Jerwood Gallery to discuss the complex relationship of a woman artist to her personal biography. The panel, and audience, were treated to an honest and frank conversation about the legacy of women artists and how their art is often overlooked in favour of their relationships to male artists. Jessica Voorsanger’s art practice looks at the construct of self, often through humorous installations or performances which unpick popular and celebrity culture. Voorsanger has exhibited extensively internationally, and is married to Patrick Brill (AKA the artist Bob+Roberta Smith). Carol Jacobi is Curator of British Art 1850–1915 at Tate. Her research is centred on nineteenth- and twentieth-century British painting, sculpture and photography. She has backgrounds in science and literature, preferring an interdisciplinary approach, and has a long term commitment to challenging the canon and investigating the legacy of overlooked women artists. Image credit: Jessica Voorsanger, Claude Monet (from the Bald Series) 2013, shown in Liberties 2015 and 2016. Photo credit: Steve Tanner. Day+Gluckman in conversation with Freddie Robins for The Matter of Material symposium, hosted by Turner Contemporary in collaboration with the International Textile Research Centre University for the Creative Arts. Using examples of her work and exhibition profile this conversation considered how Freddie Robins’ career and practice had developed as an artist working with textiles and whether or not she consciously considered it to have a feminist voice; whether gender still has a pivotal role in how textiles are read and how Freddie’s work continues to contribute to that still ongoing debate. 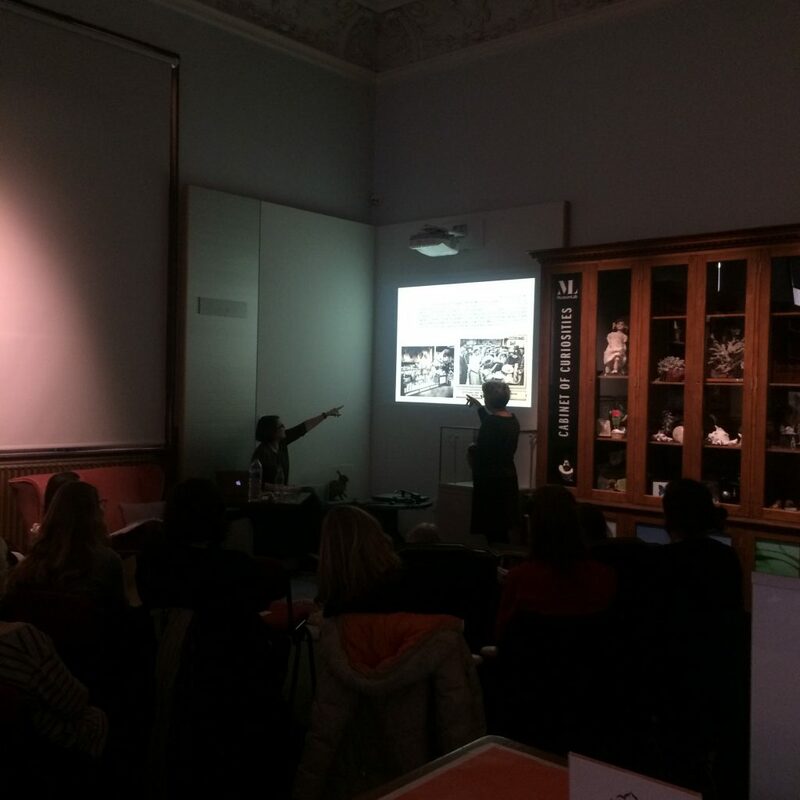 The conversation discussed how textiles have been curated into exhibitions, for example FABRIC (2014) and Entangled (2017), and examined curatorial hierarchies and whether there is a perceived or actual fear in displaying objects that don’t hold their shape. Also featured were discussions on the propensity of echo chambers in the art world and beyond (are we only talking to each other? ), how artists and curators identify their audiences, and whether a gendered snobbery about the ‘right type’ of audience exists. If you are keen to know more, the journal has been published online here for your reading pleasure.